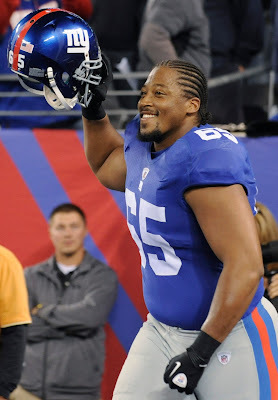 Will Beatty signed a five-year contract worth a reported $38.75 million with the New York Giants less than two weeks before he would have hit the free-agent market. Beatty was the 60th overall pick in 2009 after a breakout senior season at UConn. He started four games as a right tackle as a rookie in 2009. The following season he started 10 games at left tackle before a detached retina ended his season. He started 15 games during the 2012 season. "It’s good to be home,” Beatty said in a post on the Giants' official site. “It’s a great feeling. You could be going through free agency, but when that happens a lot of stuff is going through your mind. That feeling is no longer there. You’re settled in with a great team, a team I love playing for. I know the coaching staff. I’m looking forward to getting back in it and moving forward." I really believe that the contract will bring a good deal for both parties and both the Giants Beatty.